Is The Weeknd not here for Ariana Grande and Pete Davidson’s recent engagement? He like a shady comment about their relationship not lasting, and it’s pretty interesting! Check it out here! They say, when you know, you just know. This is certainly true for Ariana Grande, 24, and Pete Davidson, 24, as they recently got engaged after dating for only a few weeks. However, not everyone is convinced they’re in it for the long haul. 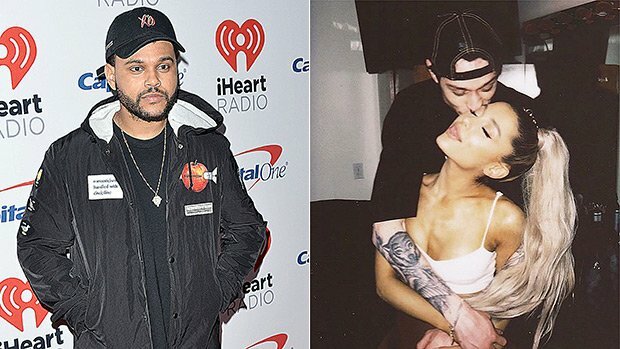 One fan hilariously pointed out that The Weeknd liked a comment that savagely dissed Ariana and Pete’s relationship. “I’m calling it now. He is either going to end up with a restraining order from her, or he will end up pulling an OJ Simpson. This is not going to end well,” the comment read. Ouch! While it definitely seems like The Weeknd is being shady, he may have just thought the comment was funny, especially since he doesn’t have a real connection to Ariana besides their song “Love Me Harder!” Check it out below. Despite all of the backlash, Ariana and Pete seem to be very much in love. In fact, Ariana is already planning the big day. “He totally surprised her and stole her heart, she never thought she could be this in love. She’s been dreaming about getting married forever. She said for a long time that she wants her brother Frankie to be the one to walk her down the aisle. And, she wants her dogs to be included somehow too. She has 9 rescue dogs, so it’ll be a very wild wedding, but Ariana doesn’t care,” a source explained to HollywoodLife EXCLUSIVELY. How cute!